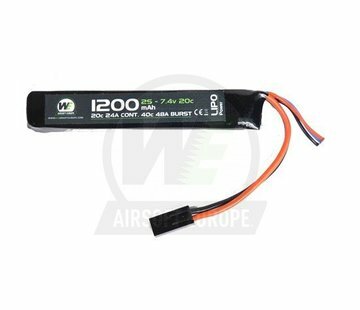 WEEU LiPo 7.4V 1200mAh 20C Slim Stick AK Type. NUPROL - 7.4v 1200mAh LiPo slim stick Battery is a ultra thin and lightweight battery, perfect for squeezing into even the tightest spots. 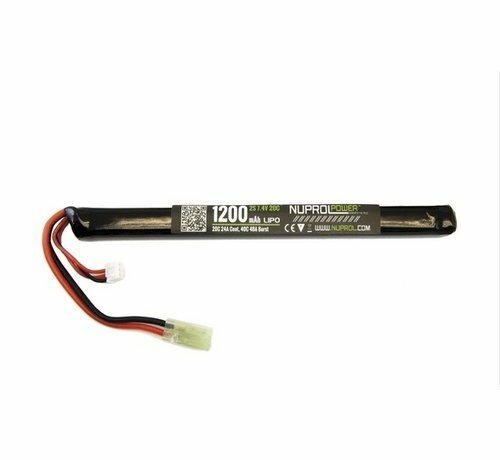 The battery provides 1200mAh of power with a discharge rate of 20c, giving it a 20w output. 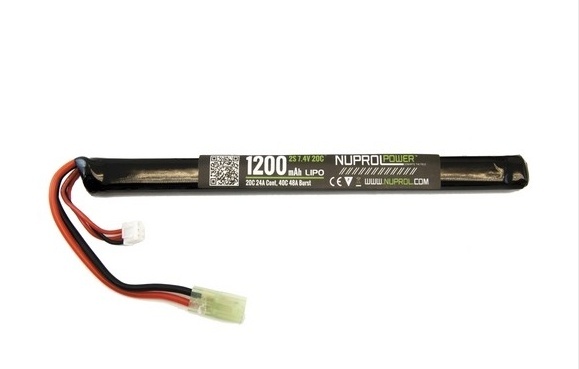 The battery is so thin it can fit into stock tubes and AK/MP5 AEG Battery compartments. 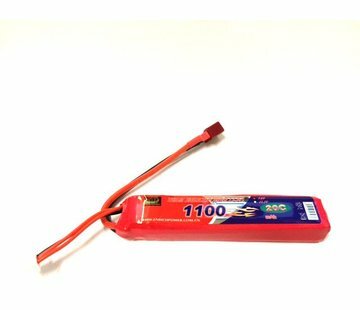 The battery comes with 9.5cm of wire, giving you the flexibility to place the battery where required. 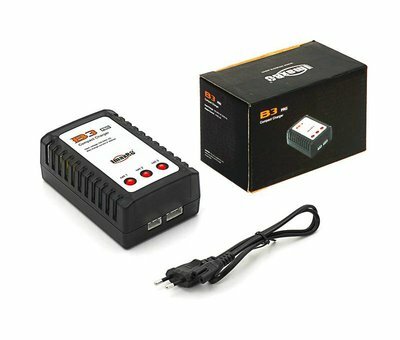 The batteries can also be used in remote control Cars, Boats, Planes and other Toys, as well as in DIY Electronics projects.